Luxury never goes out of style. 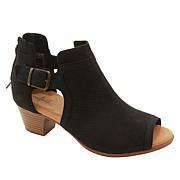 These sleek ankle booties slip on with elegance and glamour that lasts from sun-up to sun-down. 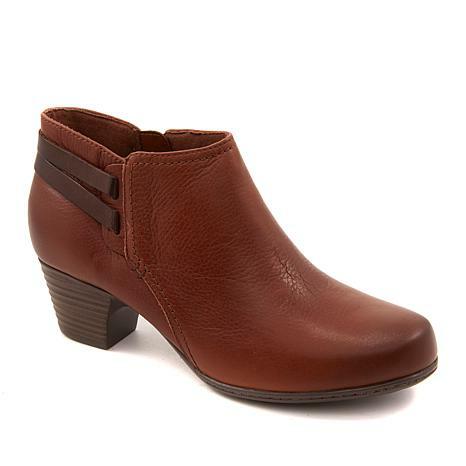 With a molded Ortholite® footbed and Cushion Soft™ technology, Clarks Valerie 2 Ashley Bootie is as comfortable as it is beautiful. I have about 4 pairs of Clarks and just love them. You don't need to break them in. Just put on and go! Well made and will keep coming back for more. 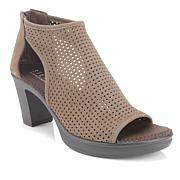 I love the Clarks brand and own several styles these are like the others I purchased comfortable and stylish !! I normally wear 7W in Clarks. The width is perfect just runs long. I tried them with inserts which usually does the trick for me, but will need a 6 1/2W. 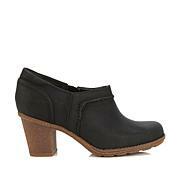 I have worn Clarks for years and love them because they are so comfortable. These boots are a disappointment because they are difficult to get into and there is little padding or cushioning inside. They are not as comfortable as my other Clarks.